PETER WASHINGTON is the General Editor of the Everyman Library and the author of several books including Fraud: Literary Theory and the End of English . He is a professor of English and European Literature at Middlesex University and a reviewer and critic for The London Evening Standard and The Independent . W. T. S. Thackara’s “Notes on Madame Blavatsky’s Baboon” by Peter Washington is not so much a book review as a remedial essay. 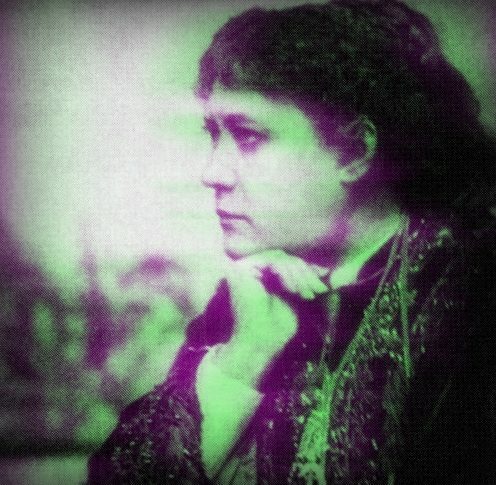 When Madame Blavatsky’s Baboon first appeared in the U.K. in 1993, many were dismayed at the number of inaccuracies in the author’s treatment of the Theosophical content of the book. It was hoped that when Schocken Books published it in the U.S., the necessary corrections would have been made. Such was not the case, however. As a result, Mr. Thackara of the Theosophical University Press (Theosophical Society, Pasadena) undertook the task of itemizing and correcting some of the more significant errors. Given the popularity of the book (there are numerous references on the Internet), it is important that readers be aware that although the book is entertaining (Robert Boyd in TH VI/6 wrote a more sympathetic review, highlighting the scope and ideas contained therein), it is important that readers — especially scholars — be made aware of the oversights and sometimes inexcusable errors that are scattered in Mr. Washington’s book. Of course, the question arises, “If the book has this many errors in reference only to Theosophy, how many more exist in the author’s treatment of the other movements?” Perhaps others will respond to this question.
. . . All too often, this subject [Theosophy and its offshoots], when it is discussed in scholarly circles, is presented in a most unscholarly fashion. Falsehoods are perpetuated and original research is not actively pursued. A renewed interest in Theosophy is appearing, however. Written in a witty and engaging style, the book contains sufficient facts and insights, some quite good, to make it appealing to a wide readership — beguilingly so, perhaps, for it has been cited as a source reference in magazines such as the Smithsonian (May 1995), and Peter Washington has been interviewed on British television as an “authority” on theosophic history. On superficial examination the book appears to be well-researched and objective. But a more careful inspection — especially of the theosophic section, to which these remarks are limited — discloses serious errors and omissions. Aside from fairly obvious use of innuendo and half-truths to bolster his negative conclusions about H. P. Blavatsky and Katherine Tingley, the author is frequently inaccurate, misrepresents theosophic teaching, relies on uncorroborated assertion (often from unfriendly secondary and tertiary sources), omits rebuttal evidence, garbles dates, events, and attributions, downgrades, trivializes, and generally gives a one-sided account. Whatever merit the book may have is defeated by its unreliability and prejudice. One would expect any author who writes on historical subjects to use primary sources as far as possible. We have no record of Peter Washington contacting the Theosophical Society (Pasadena) and its considerable historical resources, either to verify facts or to interview staff members and living witnesses who are perhaps better informed about Blavatsky, Tingley, Purucker, and theosophical history. Washington’s scholarly competence and objectivity may be deduced from the following list of errors and omissions. It is not exhaustive, but representative. 1. Pages 34e-35b: “According to Blavatsky’s later description of the Brotherhood, this hierarchy is headed by the Lord of the World, who lives at Shamballa in the Gobi Desert. (11) The Lord of the World came originally from Venus with several helpers and now inhabits the body of a sixteen-year-old boy. In descending order of authority, his helpers are the Buddha, the Mahachohan, Manu and Maitreya. . . .
“Manu’s assistant is Blavatsky’s original visitor, Master Morya, often referred to as Master M or simply M. His special duty in the distribution of cosmic responsibilities is to preside over the qualities of Power and Strength, with particular regard to the guidance of nations. . . .
“Maitreya’s assistant is Master Koot Hoomi . . . whose past incarnations include Pythagoras. . . . He is a cultured fellow, a linguist and musician whose work takes in the supervision of Religion, Education and Art. . . . [etc., etc. ]”COMMENT: Misinformation; misattribution; evident reliance on secondary or tertiary sources; undocumented (Chapter note 11 is a reference to Shambhala by René Guenon and Marco Pallis). This misleading description is not to be found in Blavatsky’s writings, but may be traced to a divergent tradition which gained prominence among some theosophists many years after Blavatsky’s death in 1891. A careful scholar reasonably conversant with theosophic history and doctrine would not confuse the two. Peter Washington (PW) in fact gives very little description of theosophy as presented by HPB and her teachers, and what he does mention is often inaccurate or out of context (see Note 13 below). 2. Page 45a: “Madame Blavatsky’s baboon signalled her own posture in this debate as an adamant anti-Darwinian. . . . But involved with this lofty dismissal of Darwinism . . . is the further message that anyone who thinks as Darwin does must be no better than a baboon, i.e. crude and crafty, foolish, vulgar, greedy, gross, and deceitful.”COMMENT: Inaccurate and misleading. The first statement could easily, but incorrectly be taken to mean that HPB was anti-evolutionist. On the contrary, HPB’s Secret Doctrine is premised on an evolutionary paradigm, and she was sufficiently versed in the subject to articulate the difference between the principle of evolution and the Darwinian model which purports to explain its mechanism. Having translated at least a portion of The Origin of Species in early 1875, she was undoubtedly aware of Darwin’s chapter 6, “Difficulties on the Theory”– fundamental problems which are unresolved today (fossil gaps, hybrid limits, instinct, etc.). In her Secret Doctrine , HPB gave Darwin due credit for the partial correctness of his theory in regard to variation, as distinct from speciation. But she criticized it as insufficient to explain the underlying causes of evolution, and Darwinians as being ethically culpable for putting “‘in the place of a conscious creative force . . . a series of natural forces working blindly (or we say) without aim, without design’” (2:652 — here she quotes Ernst Haeckel so as not to misrepresent the Darwinist position). As for “lofty dismissal,” HPB merely summarized the pertinent criticisms of contemporary scientists such as Darwin’s co-theorist A. R. Wallace and French anthropologist A. de Quatrefages — issues which are still debated in scientific circles. Her position vis-à-vis Darwinism is echoed nearly a century later in the 1973 comment of zoologist Pierre-Paul Grassé (late president of the French Academy of Sciences): “Through use and abuse of hidden postulates, of bold, often ill-founded extrapolations, a pseudoscience has been created. . . . the explanatory doctrines of [Darwinist] biological evolution do not stand up to an objective, in-depth criticism. They prove to be either in conflict with reality or else incapable of solving the major problems involved” ( Evolution of Living Organisms , NY: Academic Press, 1977, pp. 6, 202). There is a considerable difference between lofty dismissal and informed criticism. 3. Page 49c: “After that [the closing of Gerry Brown’s Spiritual Scientist ] Blavatsky established a Miracle Club, devoted to investigating occult phenomena.”COMMENT: Error of fact, evident reliance on faulty secondary source. Olcott organized the Miracle Club (with HPB’s concurrence) in New York in May 1875, while HPB lived in Philadelphia. The Club failed almost immediately, but Brown continued publishing the Spiritual Scientist for another few years. PW’s source is most likely V. Solovioff’s Modern Priestess of Isis (1895, pp. 249, 255) which makes the same error (see Note 10 below regarding Solovioff’s credibility). 4. Page 52b: “ Isis Unveiled is an exposition of Egyptian occultism and the cult of the Great Mother.”COMMENT: Misrepresents and trivializes. This characterization of Isis Unveiled is novel, but entirely misleading. PW amplifies his description in the paragraph which follows, but this, too, diminishes the scope of the 1,317-page two-volume work enormously. He cites only negative reviews, omitting several positive ones. 5. Page 52e: ” . . . another critic identified over two thousand unacknowledged quotations [in Isis Unveiled ].”COMMENT: Questionable source; omits rebuttal evidence. The critic — whom PW fails to identify (perhaps intentionally so, given his lack of credibility) — is HPB’s long-time adversary, William Emmett Coleman, an ardent spiritualist who was a clerk in the US Army Quartermaster’s Office at Ft. Leavenworth in the 1870s and later in San Francisco. In spite of his claim, Coleman never produced satisfactory documentation. For credentials he listed himself as a member of several learned societies — including the American Oriental Society, the Royal Asiatic Society, and the Pali Text Society. According to historian Michael Gomes, investigation has revealed no contributions from him in these fields. 6. Page 53c: ” . . . where nudism and dietary reform linked arms with universal brotherhood and occult wisdom.”COMMENT: False association, innuendo. Theosophy may recommend sensible dietary reform, but to my knowledge says nothing about nudism. 7. Page 53d: “Mr J. G. Felt.”COMMENT: Carelessness, probable reliance on secondary or tertiary source. John Symonds (1960, p. 75) and Gertrude M. Williams, Priestess of the Occult (1946, p. 101) both give it as J. H. Felt. Should be G. H. [George Henry] Felt. 8. Page 54c: “William Judge, the lawyer’s clerk, proposed the colonel for President [of the TS].”COMMENT: Downgrades; relies on secondary or tertiary source. Omits that Judge was a lawyer in his own right, specializing in commercial law. (John Symond’s biography of HPB, frequently cited by PW, says “lawyer’s clerk,” as does Gertrude Marvin Williams, an earlier negative biographer, whom Symonds appears to rely heavily upon. Primary source is probably Olcott’s “Old Diary Leaves” article in The Theosophist, Nov. 1892, where he states that Judge was “a lawyer’s clerk” at the time — clerking was and is often the lot of young attorneys. But Olcott also mentioned in the same article that Judge had been admitted to the Bar in 1872). 9. Page 54e: “The Theosophical Society proper thus came into being on 13 September, though it didn’t hold its first official meeting until the 17th, . . .”COMMENT: Inaccurate date: first “official” meeting of the TS was held November 17th. 10. Pages 83: PW quotes the conclusion of the 1885 Hodgson Report of the Society for Psychical Research (SPR), which branded HPB “as one of most accomplished, ingenious, and interesting impostors in history.”COMMENT: Omits rebuttal evidence. Although PW points out that Hodgson withdrew his “conclusion” that HPB was a Russian spy, he fails to mention the SPR Journal’ s April 1986 publication of “J’Accuse” by Dr. Vernon Harrison, an expert in detecting forgery and a senior SPR member. From his analysis, Harrison concluded that “whereas Hodgson was prepared to use any evidence, however trivial or questionable, to implicate HPB, he ignored all evidence that could be used in her favour. His report is riddled with slanted statements, conjecture advanced as fact or probable fact, uncorroborated testimony of unnamed witnesses, selection of evidence and downright falsity. . . . [p. 309] The Hodgson Report is a highly partisan document forfeiting all claim to scientific impartiality . . . the case against Madame Blavatsky is NOT PROVEN — in the Scots sense” [p. 287]. Though not published at the time, Harrison’s later study, H. P. Blavatsky and the SPR (TUP, 1997), condemns the Hodgson Report as being “worse than I had thought. . . . It is the work of a man who has reached his conclusions early on in his investigation and thereafter, selecting and distorting evidence, did not hesitate to adopt flawed arguments to support his thesis” (p. viii). Like Hodgson, PW does not challenge the unsubstantiated accusations of the Coulombs, whom he admits were seeking revenge, but allows their allegations of fraud to stand, evidently because they support his own conclusions. Similarly, he states (p. 90) that HPB confessed to Vsevolod Solovioff that her phenomena were fraudulent, a statement from Solovioff or possibly imported from John Symond’s frequently-cited biography, but omitting Symond’s question: “To what extent can one believe Vsevolod Solov’yov? There is only his word for it” (Symonds, Madame Blavatsky , 220). * Absent here also is Vera Jelihovsky’s reply to Solovioff that her sister (HPB) sometimes “falsely accused” herself to escape annoyance, but had said to her that she (HPB) “was sure that she had never made any admission of the sort” (Solovioff, A Modern Priestess of Isis , 318). Throughout these chapters PW asserts trickery, sham, lying, and deceit on the part of HPB but, when not giving garbled information, never establishes anything more than hearsay, much if not all of it from hostile or prejudiced witnesses. 11. Page 110b: “Purucker, a suave, scholarly and ascetic fellow almost thirty years younger than Tingley, soon became her surrogate son and right-hand man. (7)”COMMENT: Misleading innuendo. Gottfried de Purucker (GdeP), a lifelong bachelor, was ascetic and scholarly, but not “suave” by most definitions. As a student of and the successor to Katherine Tingley, he may be considered her “son” only in the sense of spiritual and intellectual mentorship. Note 7 (on p. 415) is more serious. Here PW states that “H. N. Stokes wittily dismissed Purucker’s extensive writings as ‘Theosophical Jabberwock’.” PW in fact garbles a statement in Emmett Greenwalt’s California Utopia: Point Loma 1897-1914 , where Greenwalt writes: “One of [GdeP’s] critics, the independent theosophical editor H. N. Stokes, called Purucker’s vocabulary innovations ‘Sanskrit Jabberwock'” (p.118). PW misrepresents both Stokes and GdeP. In the May-June 1935 issue of his OE Library Critic (“The Sanskrit Jabberwock”), Stokes criticized what seemed to him to be a “fad” in Sanskrit education at Point Loma. He does not mention GdeP by name in the article and, to my knowledge, never accused GdeP of “Theosophical Jabberwock” elsewhere, disagreeing only with GdeP’s scholarly preference for Sanskrit precision (correct spelling can hardly be considered an “innovation”). On the contrary, Stokes was impressed with GdeP’s teaching and his clarity in writing and speaking. He eventually joined the TS under GdeP’s leadership, remaining an active member until his death on September 30, 1942, three days after GdeP died ( Theosophical Forum , January 1943, p. 42). Had PW gone to the primary source, he might also have found there Stokes’s description of his first meeting with GdeP in 1931 at a theosophical meeting in Washington, DC:“Naturally there were questions and answers, and to my mind the most impressive was his [GdeP’s] reply to a lady who had been sorely perplexed by reading Mahatma K.H.’s letter to A. O. Hume on God. . . . His reply, which I cannot attempt to abstract, was one of the most lucid expositions of this topic which I have ever listened to, and was something not to be forgotten. “Clearly, too, did he speak on the subject of non-resistance in relation to the different stages of chelaship [discipleship]. Many, of course, have read The Voice of the Silence and have realized the truth of its precepts in a sort of fashion. Let G. de Purucker quote one of these precepts and make a few comments on it, as he did on this occasion, and it ceases to be a rule or a dictum and stands out before one’s mental eye an indisputable and eternal truth. With no great skill in speaking, yet in some way he makes one feel in a new fashion the truth of what one has long known. . . . It has been years since I have felt the tremendous significance of these precepts so forcibly; and it was all done so modestly and simply! . . .
“His second, semi-public lecture, intended especially for theosophists, on “The Theosophical Movement,” was the most brilliant and convincing theosophical talk I have ever listened to. He is a true genius in exposition and, as stated above, carries conviction with a power which it is rarely the good fortune of a mere reader to experience. . . .
12. Page 114c: “By the outbreak of World War One things were already on the slide. . . . The Purple Mother [Katherine Tingley] staggered on for another fifteen years, . . . but within a very few years of her death the community had been forced to close.”COMMENT: Inaccurate and denigrating. The historical record reads otherwise, including the chartering of Theosophical University in 1919 and a resurgence of membership in the 1930s under the leadership of G. de Purucker (1929-1942). The Depression forced cutbacks at Point Loma, exacerbated by new taxes and other financial burdens; but it was not until 1942, when San Diego became a staging area for the Pacific Theater in WW2, that GdeP moved the international headquarters — virtually debt-free — to Covina ( Theosophical Forum , December 1942, pp. 573-4), from where it was moved in 1951 to its present location in Pasadena/Altadena. “In reply I wish to deny most emphatically that your correspondent has any such ‘authority’ — ‘unimpeachable’ or otherwise — for any such ridiculous assertion. I have known Mrs. Tingley intimately since 1896. In 1926 I was her guest at Nurnberg. In 1927 she was my guest at Berlin [where he was the US Military Attaché]. In 1928 I joined her at Visingsö and was with her until April 1929. . . . Based on the above contacts I assert that there was . . . no lessening of Katherine Tingley’s brilliant intellectual powers up to the very end of her life [on July 11, 1929]” (OE Library Critic, August 1932). 13. Page 406, note 3: ” . . . HPB’s great-nephew, Boris de Zirko.”COMMENT: Inaccurate. “de Zirko” should be spelled de Zirkoff. This could be a typesetting error, but more likely the author’s inattention to detail. More importantly, I have found only this one mention of de Zirkoff — nothing in the index or bibliography. It is curious that there is no reference to the monumental 15-volume H. P. Blavatsky: Collected Writings , edited by de Zirkoff, in the bibliography — as any competent author relying on primary source material would surely include. One can only wonder how much of Blavatsky’s writings PW has actually read or comprehended. The statement regarding HPB needs no comment. Judging only by this relatively small sampling, Peter Washington’s treatment of theosophical history is seen to be heavily biased as well as dependent on faulty sources, raising legitimate doubts about his accuracy and objectivity in the rest of the book. Vernon Harrison’s criticisms of the Hodgson Report (Note 10 above) could justifiably be applied to Mr. Washington’s Baboon. * Even Solovioff’s translator, Walter Leaf, admitted that Solovioff used HPB’s letters selectively: “the letters are not entire; they are selected by a bitter personal enemy with the purpose of damaging their writer, . . .” Leaf points to one letter in particular which implies “a real inconsistency with Mr. Solovyoff’s narrative; it implies that he has not correctly represented the mental attitude in which he found himself after the Würzburg conversations. I confess that I am not satisfied with his own explanation . . .” (Solovioff, xv). ** According to John Gilbert Winant in his Letters from Grosvenor Square: An Account of a Stewardship, Boston: Houghton Mifflin, 1947, p. 135. Winant was Governor of New Hampshire and, during WW2, US Ambassador to Great Britain. 1882: Is Suicide a Crime?